Stop in today to See 3 Brand new homes being completed with special springtime pricing. 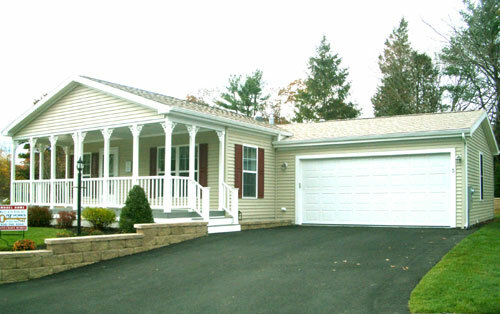 All homes offer attached garages and are loaded with extras. Enjoy your own yard and private clubhouse and pool. Clubhouse now open for full use, Our Heated Pool is open daily for your summertime enjoyment along with our 6 hole professional practice putting green. Custom design of home interiors with choices of floor covering, cabinets, fireplaces, appliances, etc. We will be using Ritz-Craft pre-manufactured homes to bring you the next community of quality workmanship at affordable prices. Every home features a garage and deck. You can also see that many owners have chosen front porches, oversized garages, and deck systems that have three season Florida rooms or screen porches that we build on site. RJF Homes has clearly succeeded in its goal of offering a unique setting, product and services for those who are looking for that special lifestyle that is designed for the over 55. For more information call Doug Crociati at (508) 889-5466. 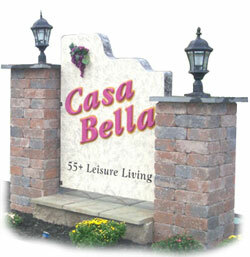 Come visit our fully furnished model Home here at Casa Bella displaying some of the many high end features we offer. 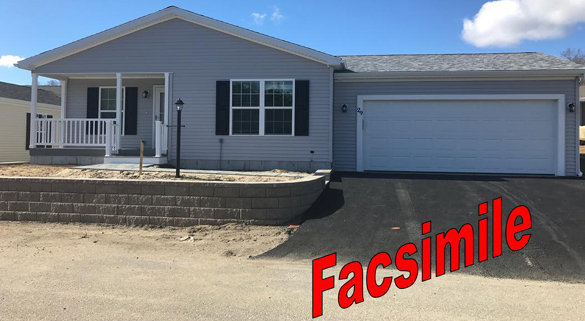 See for yourself one of Plymouth's finest 55 & "better" active adult communities and speak to one of our Rep's who will show you the quality of a RJF built Ritz-Craft Home. Experience firsthand all the features that go into one of our homes and see plans for the future Clubhouse, Pool and other ammenities, that will be the focal point of the community. Please drop by one of our "Open Houses" and experience the "Elegant Difference" of an RJF Homes developed property! This brand new custom designed Ritz-Craft home is a beauty. This home offers an open floor plan, with a cooks kitchen. 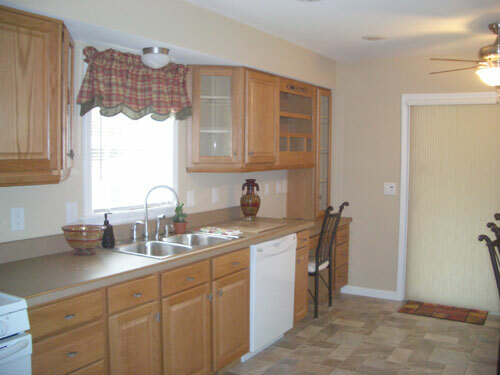 Two (2) bedrooms, two (2) full baths, utility/laundry room and dining Room with spacious Living room. This house has all the features that make a Casa Bella home stand out from the rest. The home also features quality oak raised panel cabinets, deluxe Stainless Steel appliances, laminate flooring and high grade carpeting, efficient forced hot air Natural Gas heat and central air conditioning. It also boasts a 12' x 10' deck with Azek decking and white vinyl railings offering a maintenance free outside deck area. 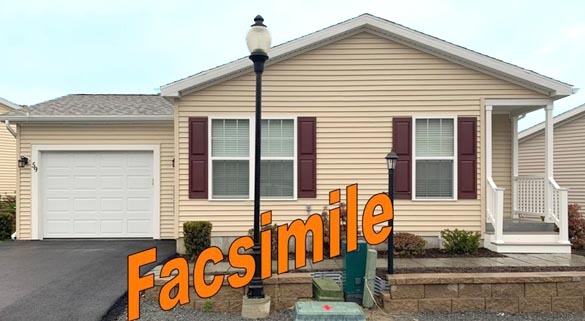 A 14'x22' oversize one car garage rounds out all the features in this fabulous almost maintenance free home. Call or write today for information on this magnificent new home specially priced at $344,900.00. Great Price on a stunning new home Act Now this one won't last long! This brand new custom designed Ritz-Craft home is a beauty. This home offers an open floor plan, with a cooks kitchen and an eat at Island. 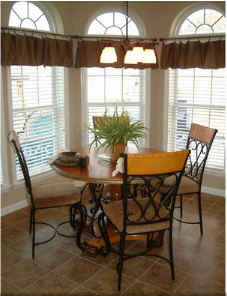 Two (2) bedrooms, two (2) full baths, utility/laundry room and dining Room with spacious Living room. This house has all the features that make a Casa Bella home stand out from the rest. The home also features quality oak raised panel cabinets, deluxe Stainless Steel appliances, laminate flooring and high grade carpeting, efficient forced hot air Natural Gas heat and central air conditioning. It also boasts a 12' x 10' deck with latitudes decking and white vinyl railings offering a maintenance free outside deck area. A 20'x22' oversize Two car garage rounds out all the features in this fabulous almost maintenance free home. Call or write today for information on this magnificent new home specially priced at $354,900.00. This brand new custom designed Ritz-Craft home is a beauty. starting with a 5' x 24' covered Farmers Porch perfect for relaxing on. 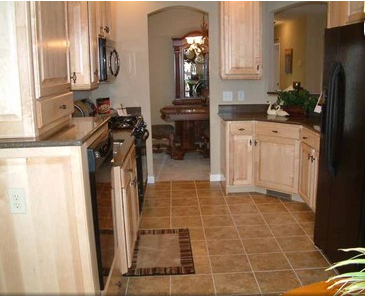 This home offers an open floor plan, with a large kitchen and a breakfast nook. 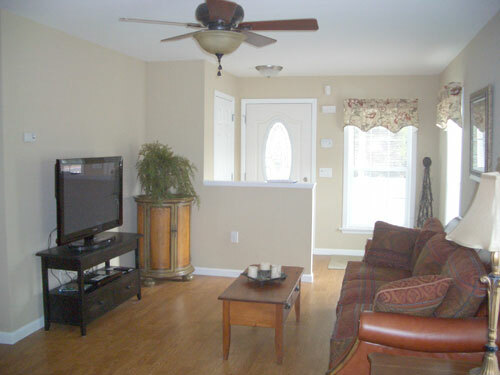 Two (2) bedrooms, two (2) full baths, utility/laundry room and dining Room with spacious Living room. This house has all the features that make a Casa Bella home stand out from the rest. The home also features quality oak raised panel cabinets, deluxe Stainless Steel appliances, laminate flooring and high grade carpeting, efficient forced hot air Natural Gas heat and central air conditioning. It also boasts a 12' x 10' deck with latitudes decking and white vinyl railings offering a maintenance free outside deck area. A 20'x22' oversize Two car garage rounds out all the features in this fabulous almost maintenance free home. Call or write today for information on this magnificent new home specially priced at $349,900.00. Great Price on a stunning new home Act Now not many homes left.